Barry Goldwater was a defining figure in American public life, a firebrand politician associated with an optimistic brand of conservatism. In an era in which American conservatism has lost its way, his legacy is more important than ever. For over fifty years, in those moments when he was away from the political fray, Senator Goldwater kept a private journal, recording his reflections on a rich political and personal life. 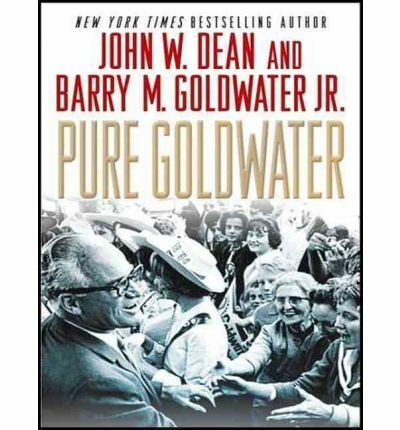 Here bestselling author John Dean combines analysis with Goldwater's own words.With unprecedented access to his correspondence, interviews, and behind-the-scenes conversations, Dean sheds new light on this political figure. From the late senator's honest thoughts on Richard Nixon to his growing discomfort with the rise of the extreme right, Pure Goldwater offers a revelatory look at an American icon-and also reminds us of a more hopeful alternative to the dispiriting political landscape of today.